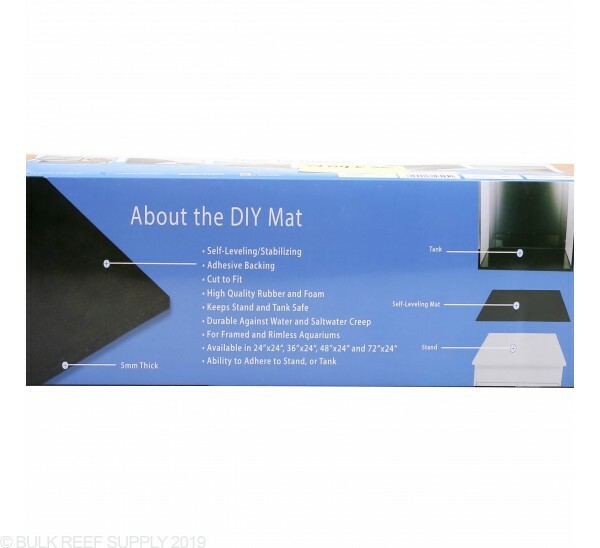 Leveling adhesive mats are used under glass or acrylic tanks to make a super smooth surface and relieve any small stress points that may be on the surface the tank will rest on. When placing a rimless tank directly onto a stand or any surface a piece of foam, rubber, or neoprene should be used to relieve any pressure points or unevenness in the surface the tank will rest on. With the adhesive backing you can place the mat directly to the tanks bottom to keep it from sliding around for final positioning. 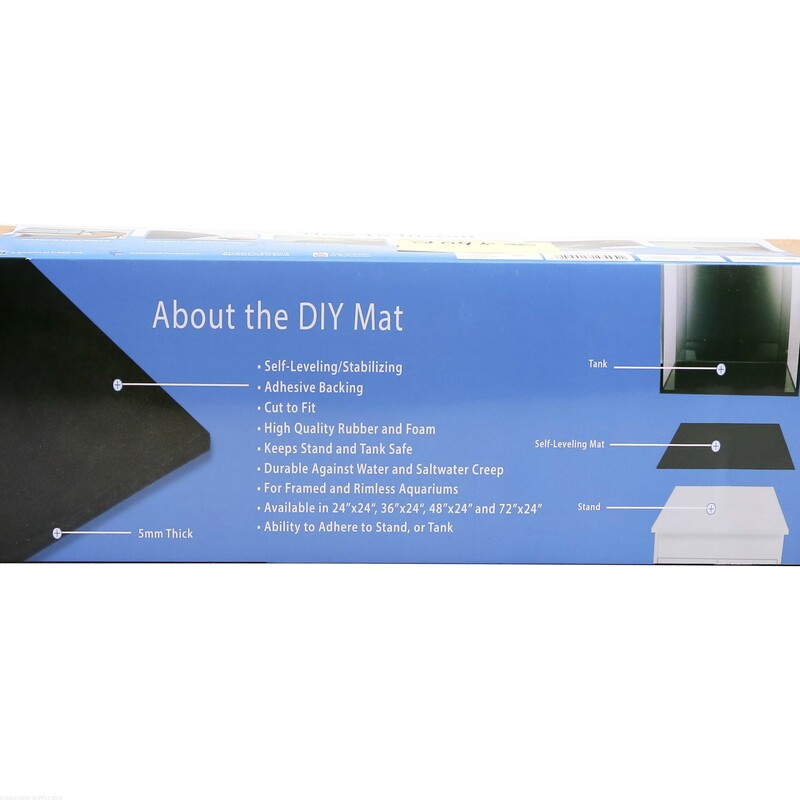 We suggest purchasing a rubber mat that is slightly larger than the footprint of the aquarium you wish to use it with. Then trim it to size with a sharp knife or razor blade for a perfect fit.